Now that Winter is fast approaching, hot, hearty soups are on most dinner menus. This is a soup I often make and it really tasty and filling. 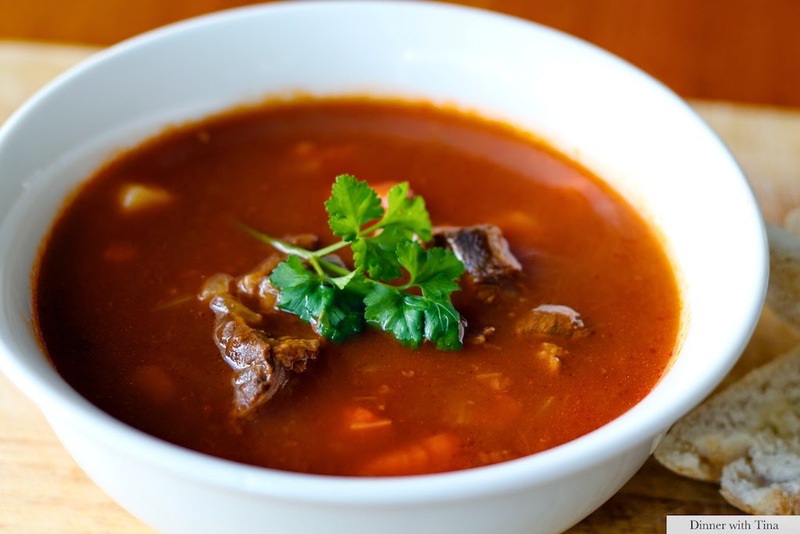 I have written two methods - one for pressure cookers which will cook this soup in half an hour and also for slow cookers, so you can easily prepare it in the morning and come home to a delicious dinner. The recipe below could easily feed 10 or more people and can easily be halved so you can adjust it depending on the number in your household (and slow cooker/pressure cooker pot!). - Add in the tomato paste, stock, star aniseed and 5 cups water. - Add the other 3 cups of water and two cans of the tomato soup, bring it to the boil and serve hot. Note: depending on the size of your slow cooker, you may want to half the recipe which will work fine. - Right before serving, take the pot back to the stove and add the other 3 cups of water plus two cans of the tomato soup, bring it to the boil and serve hot. Serve with fresh bread, garlic bread or rice... and enjoy!